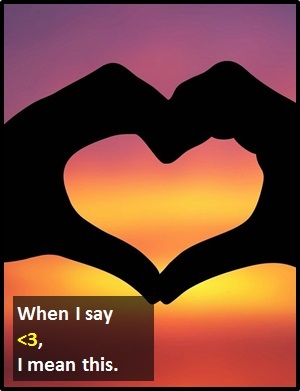 <3 | What Does <3 Mean? <3 is a heart lying on its side. It means "love."